There are four primary types of document management systems. There are server-based systems, such as a locally installed library cataloging system; database systems, such as MySQL, that can store, sort and manage a variety of files and file types; cloud-based systems, such as Folderit, where the information is uploaded and stored remotely; and web-based systems, where the information is generated and stored using a web browser. Each system has its advantages and disadvantages. Some systems manage to combine characteristics of all four types. 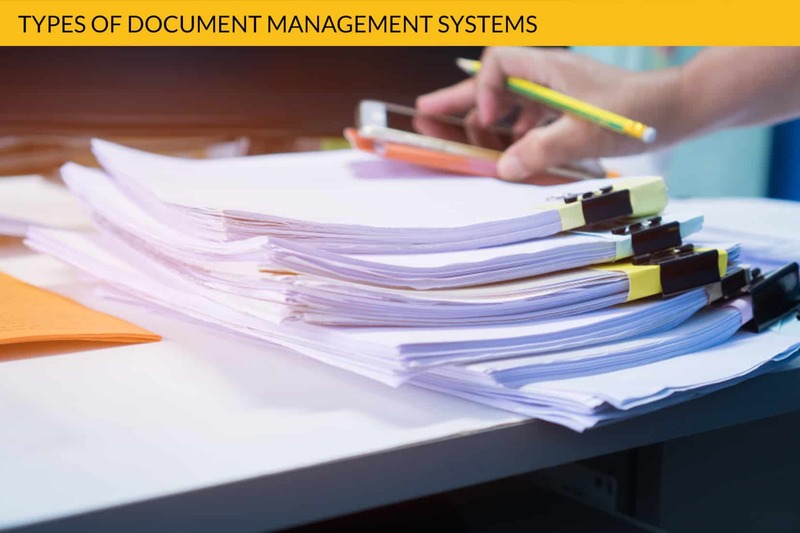 To fully understand the types of document management systems, let’s look at what a DMS should do. A DMS or document management system stores, sorts and provides easy access to information files. The files might be documents that are created digitally, such as word docs or spreadsheets, or they might be paper documents, such as receipts, that are scanned into a computer and stored as .pdfs. Think of a DMS as a sort of super filing cabinet with a built-in secretary to help make all the files accessible. A document management system performs one or more of five different functions. Content management systems are concerned with uploading, downloading, sharing and publishing documents. WordPress is a good example of a content management system. Enterprise content management focuses on the functions of a particular business, such as buying and selling, providing a service or renting out something. They might incorporate some features of a CMS. Document imaging systems are designed to work with scanners, to scan, store and preserve images of documents. 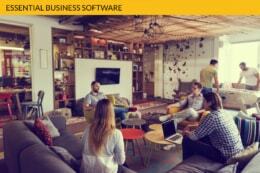 An ECMS might use a DIS to manage paper records generated by the business. Document images and business functions might be incorporated into a records management system, which focuses on the flow of transactions through a business. Finally, there is the workflow management system which deals with getting the right documents to the right people at the right time. In practice, a good document management system will combine several of these features. Although it might not deal with publishing, it is likely to include the ability to upload and download a variety of documents and images. Those documents and images are probably going to center around the business activities of an enterprise. Since many businesses must have some paper documents that they deal with regularly but want to record, it is also likely that document imaging is going to be part of that process. And, finally, information is of little use if it cannot be accessed by the right people at the right time. As a business person, you are likely to be seeking a DMS system that will combine several functions, although some of them might be more important to you than others. For example, your company might have a blog which needs to be updated regularly, so you will want a content management system that will allow you to readily place new blogs on the web. Those blogs are likely to refer to the enterprise activities that are the core of your business. Those activities might include paper copies of purchases of goods or copies of receipts for customers. Your busy workers might need an easy way to record their progress on a project or enter their part of an inventory or even to show that they have signed off on a document. Equally important when it comes to any kind of document storage is having backup copies of the information and good encryption so that your data has the best possible protection from hackers and vandals. So where can you find a DMS that does all this? Well, do look up Folderit. Recently voted as the most user-friendly document management system in the world, it takes care of almost every one of the functions mentioned – and it allows you to assign tags to your information so that if you want to know about a particular type of material or activity, you can type in a word such as “sales” or “stuffed animals” an immediately locate a list of all the documents labeled with that tag.